This rustic sauce is produced in Emiglia Romagna, the area famous for fresh Italian cuisine. 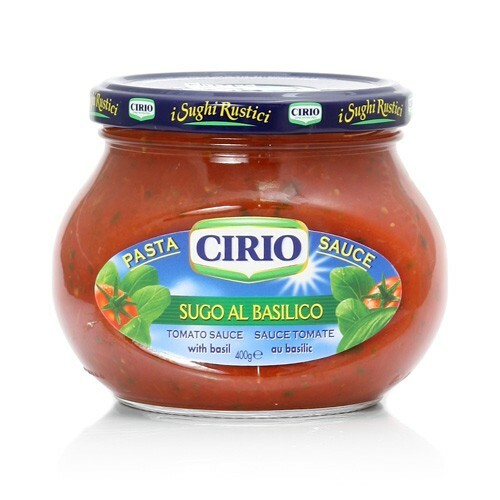 Cirio Sauces are rustic in flavor, with a full-bodied texture and pleasantly aromatic. This item has a fresh basil flavor to its tomato based sauce.